So many Prospects; Such a little Prawn. We look at a pair of young arms impressing their way into Brandon League’s job. In the latest in a thirty-part series (yeesh! ), We will be looking around baseball at potential bullpen vacancies and the internal candidates that each organization has in the upper levels of their systems to fill those vacancies. We’re hoping to expose some fresh faces that should see plenty of action in 2014 barring injuries or roster screwery and in doing so provide a bit of a relief summary for each organization’s upper minors. Without further ado, we’ll get moving onto the Los Angeles Dodgers. 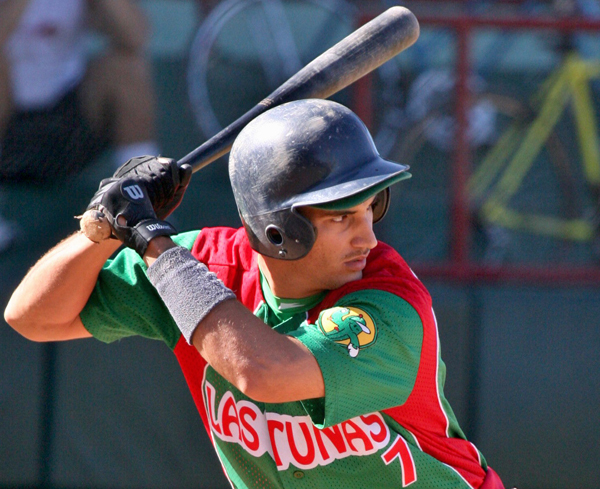 Cuban Defector 2B Alexander Guerrero looks to make yet another big jump in 2014; from the Cuban Serie Nacionale to the MLB. The L.A. Dodgers figured they’d try their luck again. After signing sensation Yasiel Puig to a then-record deal for a Cuban defector and having it work out fairly well for them, the Dodgers have gone back to their Cuban well in hopes they’ve unearthed another gem. They snapped up Cuban shortstop Alexander Guerrero late in the season on a 4 year 28 million dollar deal, so while they clearly didn’t have the same desire to keep Guerrero in the fold as long as they did Puig, the blue team’s scouts must see something special in the 26 year old, as he’ll be making a million more per year than Puig will, based on AAV. The Dodger’s roster moves since the signing further confirm a rather high amount of faith in the unproven shortstop and his expected move to second-base in the majors, as they declined 2B Mark Ellis‘ 5.75 million dollar option in favor of a one million dollar buyout, leaving them with effectively only Guerrero to man the keystone at the highest level in 2014. Scouts are split on whether his bat will translate and the fact that he’s not going to be given the chance to stick at short on the transition could be viewed as a negative critique of his defense if Hanley Ramirez‘ stubborn refusal to move off short were not a complicating factor. Guerrero profiles as a power hitter with good on-base skills, and as such profiles a bit like a 2B that most any team would be glad to add in Chase Utley. I will also look at how he stacks up against another Cuban defector with some similar peripherals in Alexei Ramirez. 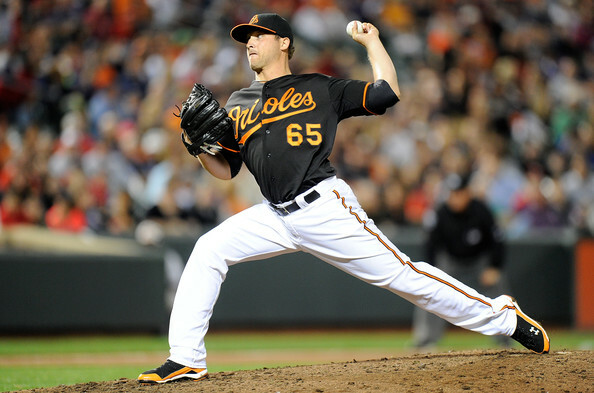 LHP Mike Belfiore aims to crack the O’s 2014 roster after posting good numbers in AAA. In the latest in a thirty-part series (yeesh! ), We will be looking around baseball at potential bullpen vacancies and the internal candidates that each organization has in the upper levels of their systems to fill those vacancies. We’re hoping to expose some fresh faces that should see plenty of action in 2014 barring injuries or roster screwery and in doing so provide a bit of a relief summary for each organization’s upper minors. Without further ado, we’ll get moving onto the Baltimore Orioles. 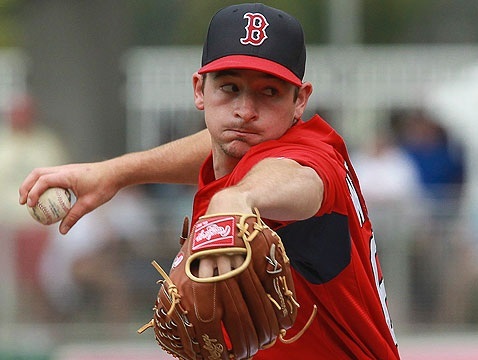 Red Sox RHP Prospect Allen Webster came along as part of a salary dump, but projects to be an impact reliever for the Sox in 2014. In the first of a thirty-part series (yeesh! ), We will be looking around baseball at potential bullpen vacancies and the internal candidates that each organization has in the upper levels of their systems to fill those vacancies. We’re hoping to expose some fresh faces that should see plenty of action in 2014 barring injuries or roster screwery and in doing so provide a bit of a relief summary for each organization’s upper minors. Without further ado, we’ll start with this years World Series champion: the Boston Red Sox.